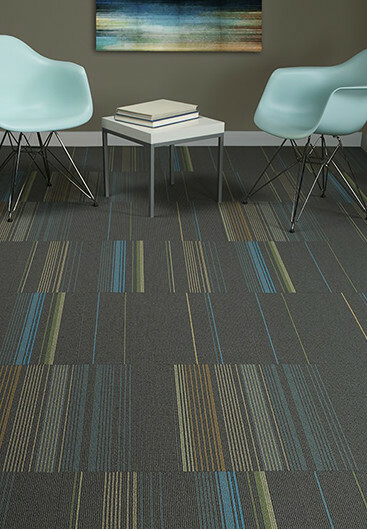 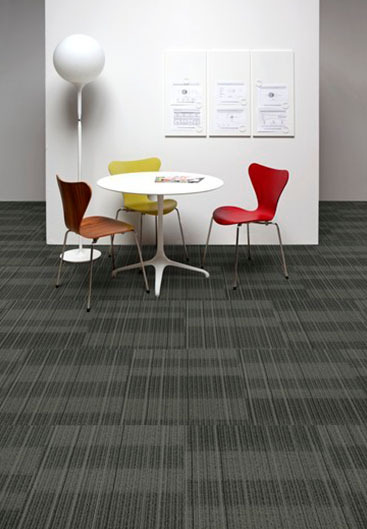 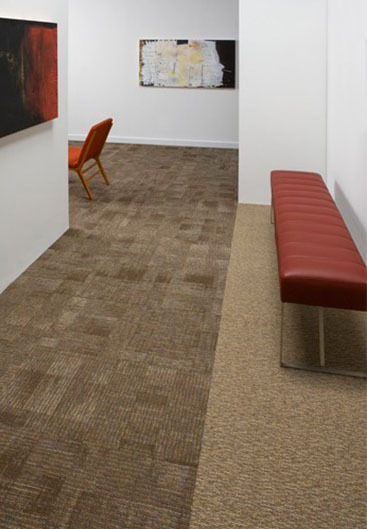 There are many benefits and reasons for specifying modular carpet tiles. 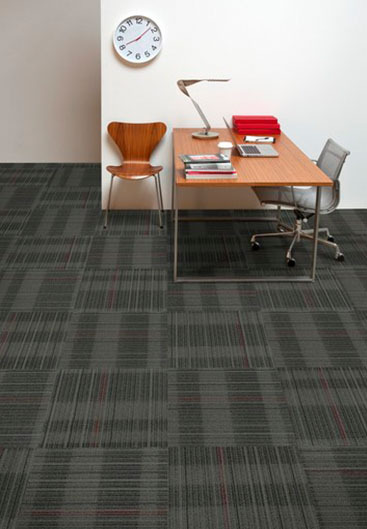 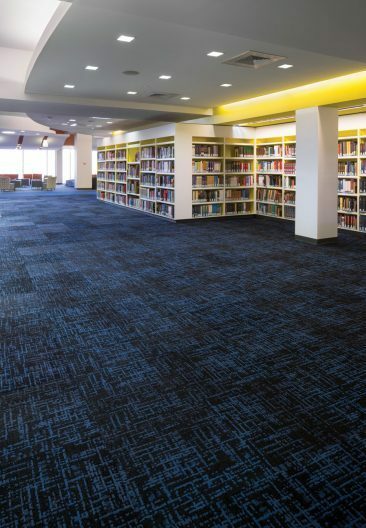 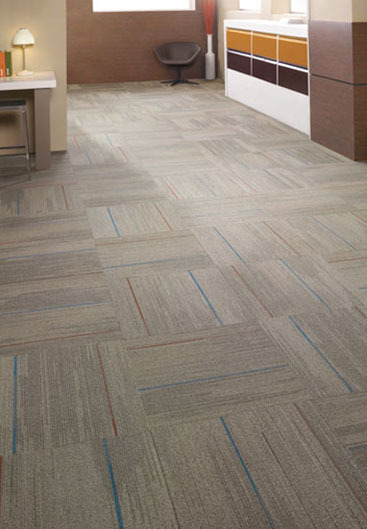 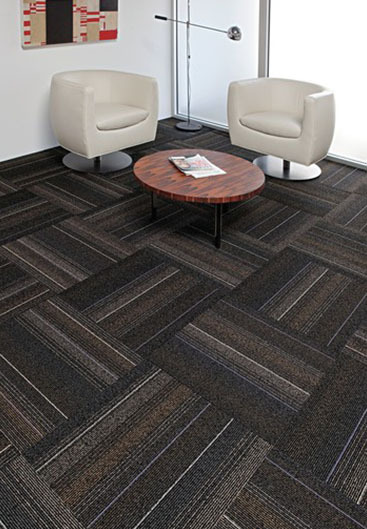 Carpet tiles are built for long lasting performance and offer numerous design options. 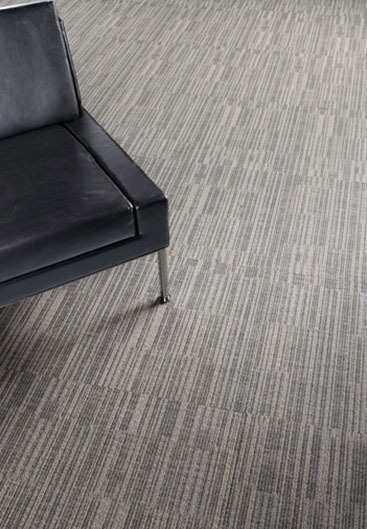 Individual damaged or stained tiles can easily be pulled up and replaced without the need to replace a large area of carpet. 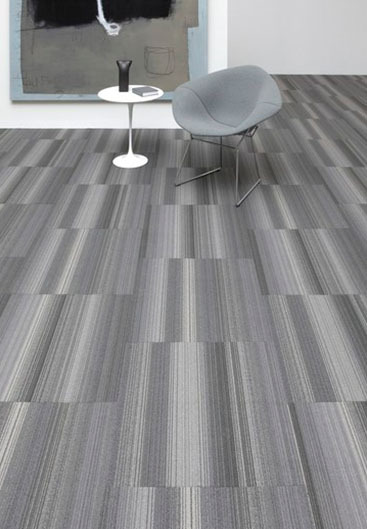 In some cases, it is more efficient to install tiles instead of broadloom because there is less waste. 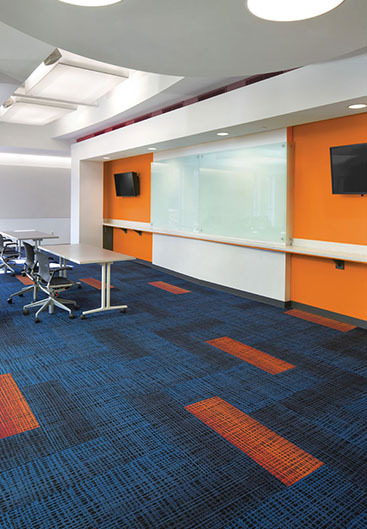 Carpet tile can be installed under modular furniture stations by lifting the stations which eliminates the cost and need to disassemble and reinstall furniture. 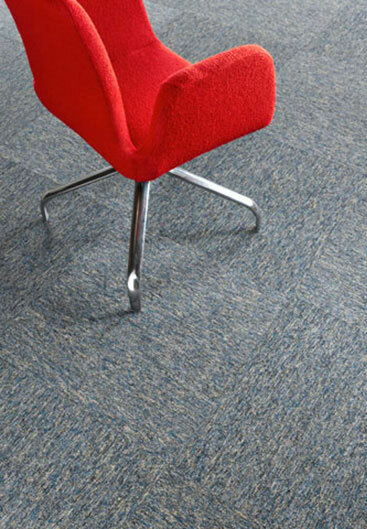 Carpet tiles are engineered with performance backings that have strong warranties and are guaranteed not to edge ravel, delaminate, shrink, cup or dome.